Here at Alligator Dental, we stress the importance of dental health and oral hygiene, especially when it comes to the youngsters in your life. 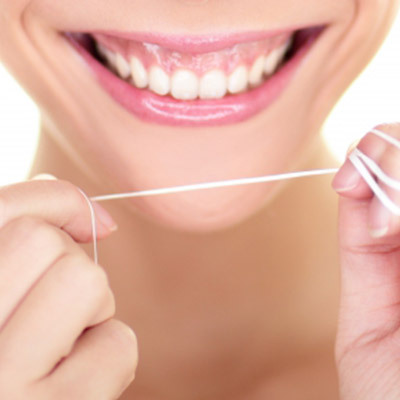 As you have seen in our past blog posts, there is a lot to be said for flossing, no matter your age. The sooner children are accustomed to flossing being a part of their daily (or nightly) routine, the better and more effective they will be with making it a lifelong habit. When first starting with their dental hygiene, children may be flossing but be unaware of the ways to make it most effective. As one of the premier pediatric dental groups in Seguin and San Marcos, Alligator Dental wants to ensure that your children are not just flossing, but flossing the right way. Today, we’ll take a look at a few of the important items to keep in mind when your youngster is flossing to make sure they are getting the most out of the experience. If your child is using traditional string floss, it can be difficult deciding how much floss is enough. You don’t want so much that some of it goes unused and is thrown away as waste, but you also want to ensure your youngster has enough floss so that they can continually use fresh nylon for each tooth. 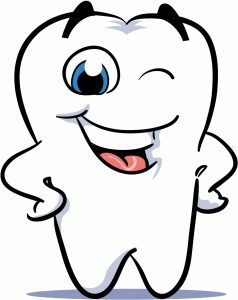 A good rule of thumb when it comes to getting enough floss is to use about 18 inches (a foot and a half). If you or your youngster are unsure about how much floss is measures close to 18 inches, measure a piece of floss that reaches from your left pinky to your right pinky when holding your hands at a normal distance from each other. While not exact, this measurement should be an appropriate amount of floss for anyone to take care of the job. If your youngster is not a fan of traditional floss and instead prefers plastic flossers, then there’s no need to measure how much floss is needed. However, depending on how much debris lies between their teeth, two flossers might be necessary. It is better to use more than one and insure your youngster’s teeth are clean than leaving anything behind in order to save flossers. Speaking of clean teeth, one of the most important parts of flossing is ensuring you clean between each and every tooth. Kids and adults alike all have issues reaching the molars and teeth near the back of the mouth. We know it’s a tricky angle and might be an uncomfortable way to maintain dental health. Even so, if children do not floss between each tooth, they might find themselves feeling even more tooth discomfort. Ignoring flossing between teeth because they are too close together or are difficult to reach can be the first step in developing cavities or other oral hygiene issues. Bleeding gums mean you may not be flossing enough, but they can also mean you are pushing too hard. Even healthy gums will see inflammation, soreness, redness, and even some bleeding. If you floss too hard, though, you can cut your gums up and see a swollen, red mess for a few days. Instead of dealing with this ailment, make sure your children are meticulous when they floss and don’t go too crazy, resulting in hurting themselves. If they encounter a problem area, make sure they use different angles to dislodge whatever ails them instead of pushing harder. It is much easier to deal with debris in between teeth than an injured or sliced gum. When it comes to flossing and oral hygiene, the Alligator Dental team is here to help you and your little ones achieve the best dental health. As one of the best teams of pediatric dental specialists in the Seguin and San Marcos area, we are dedicated to ensuring your children are set down the best path of dental care and dentistry possible. Whether it is your child’s first dental visit, you are looking for a new dentist, or need to come back in for a checkup, trust Alligator Dental for whatever you need. Give us a call and schedule your child’s next appointment today!